With this summer reaching record breaking high temperatures St. Vincent de Paul was blessed to have 150 heat relief bags donated to the Ministry to the Homeless program by 17-year-old Grant Gaylord. 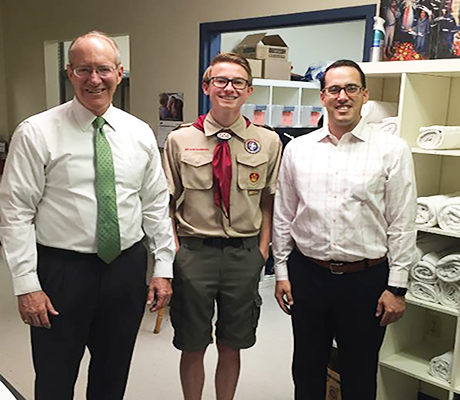 Grant, a Brophy student, Boy Scout, and volunteer chose to create these heat relief bags for his Eagle Scout Project after he saw the high need for essential items to help combat the extreme heat this summer. 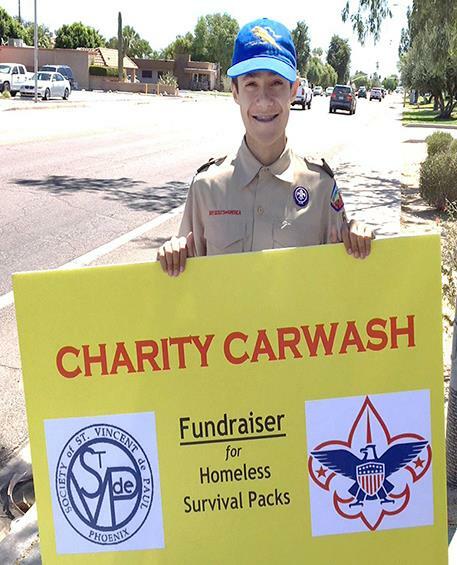 To help fund the project, Grant hosted a carwash fundraiser where he raised over one thousand dollars for the supplies that would go into each heat relief bag. Some of the items in the bags include water bottles, Aleve, socks, sunscreen, and hand sanitizer. 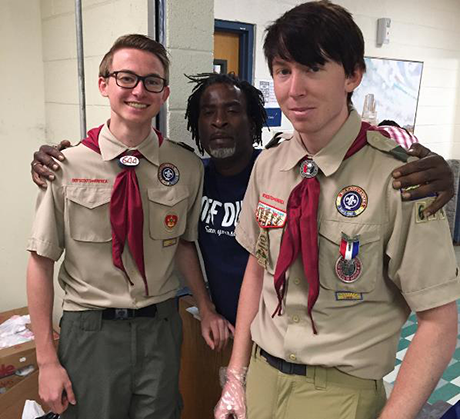 After the completion of his Eagle Scout Project, Grant will be under review for Eagle Scout status in Boy Scouts, a lifelong title that only four percent of Boy Scouts of America reach. While the project may be done, Grant is just getting started. He plans to continue his work helping others and hopes to make a positive change in the community. 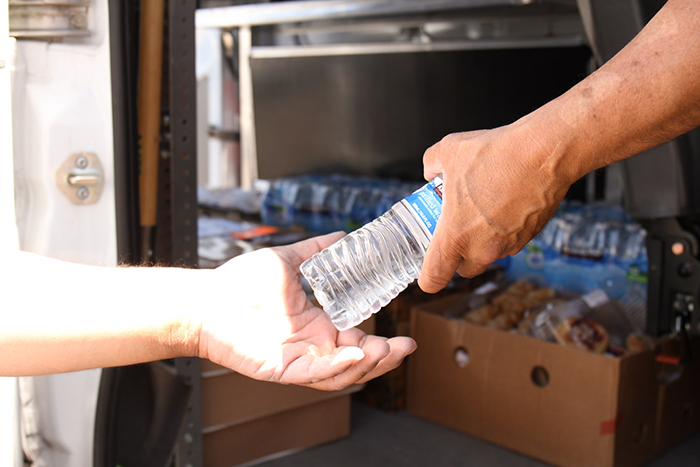 At St. Vincent de Paul, our Homeless Ministry serves 200 homeless individuals every day, providing shoes, clothes, showers, haircuts, bikes and bus tickets, job leads and more. Through the work of several ministries, St. Vincent de Paul want to help homeless families and individuals get back on their feet and to become self-sufficient.